Another Trip – a New Adventure! After a brief interlude, we’re on the boat again. In Florida, but not actually in the water yet. Sometimes life happens in ways you don’t expect. We’d been home in Annapolis about six weeks after our 2012-2013 trip when Nancy had a totally unforeseen opportunity – a dream job and she took it. It was an amazing experience, but fortunately for a limited time only. She re-retired in mid-December. Motu Iti was already in Florida by then – via truck in early December. 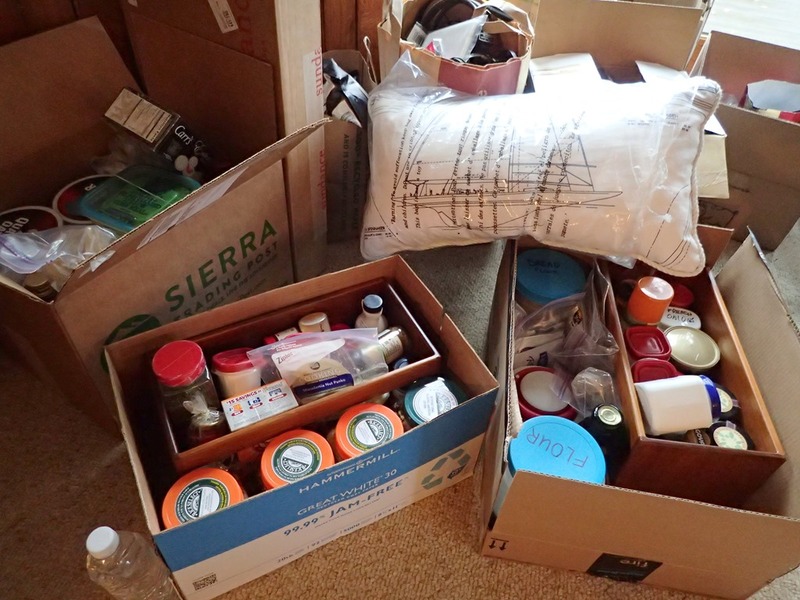 We’d stocked the boat during Thanksgiving – with lots of help from my mom and niece. Luckily the shopping had already been completed – with a friend’s help at Costco and then a million deliveries from amazon.com. 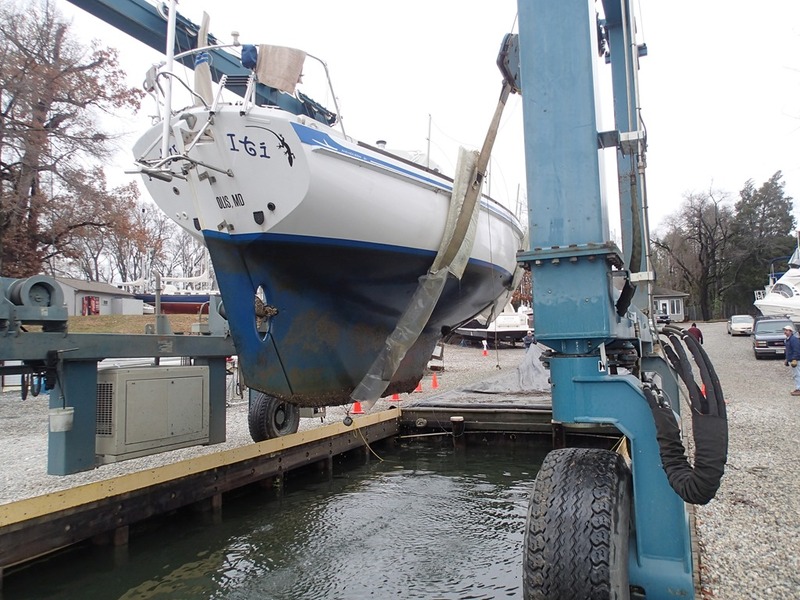 Here’s Motu Iti being hauled out of the water in early December. Yikes, look what the barnacles did to the prop last year. 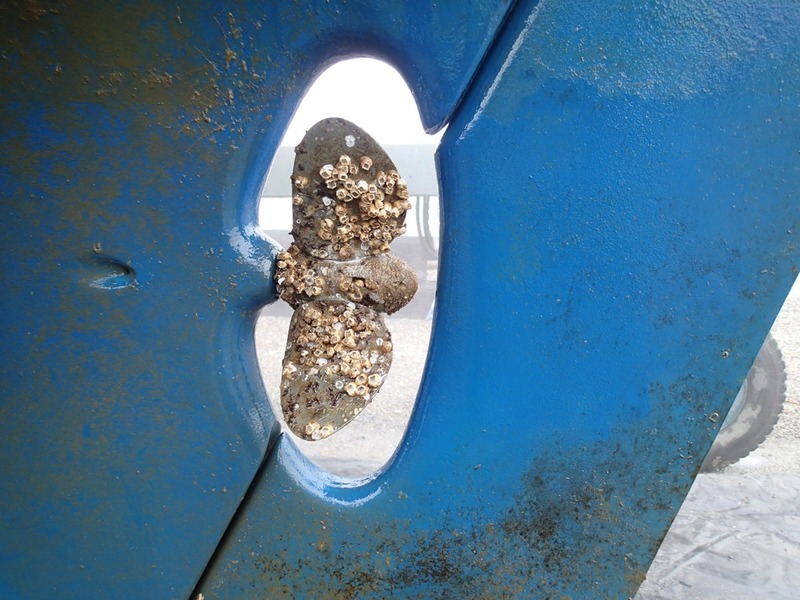 Nature just doesn’t respect 21st century anti-fouling coatings. 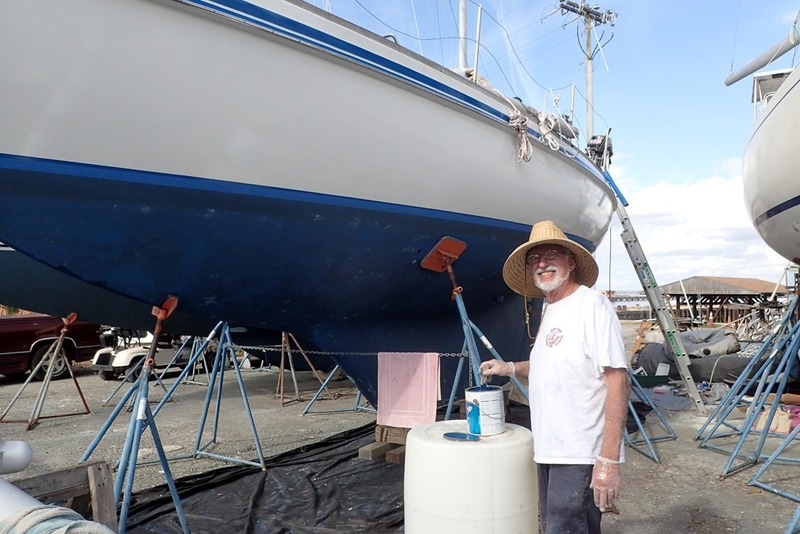 The sailors here recommend black magic marker – worth a try. 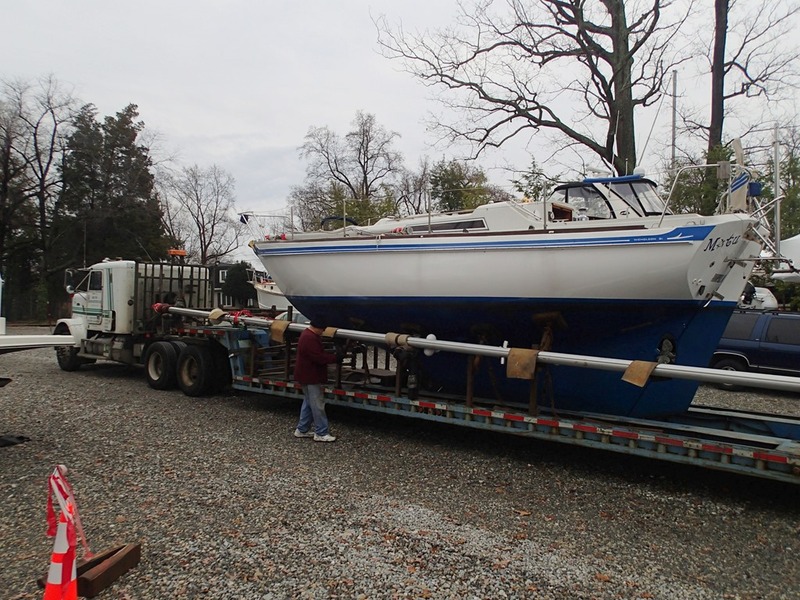 Motu Iti was lashed onto a big truck and traveled down I-95 to a marina just south of Jacksonville. We joined her after Christmas, via rental car. On the way we enjoyed the holidays with our family in Norfolk and with good friends in South Carolina. We are now living on Motu Iti on the hard. Which means we access our “home” by ladder. Not my favorite way to be on the boat. 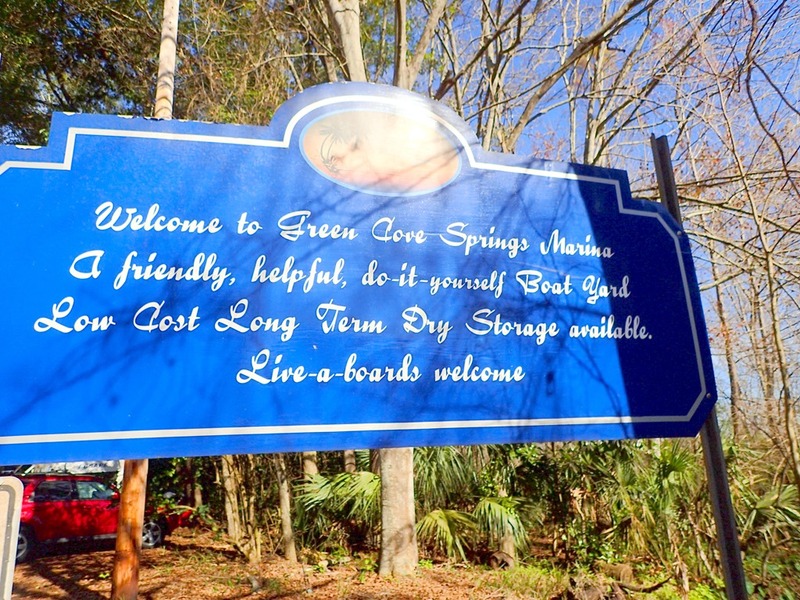 The Green Cove Springs marina holds itself out as a DIY marina and there are many boats here from lots of different countries – all in various states of repair and non-repair. Some, like our boat, are spectacularly gorgeous and some will never see the water again. We spent a few days painting and cleaning. 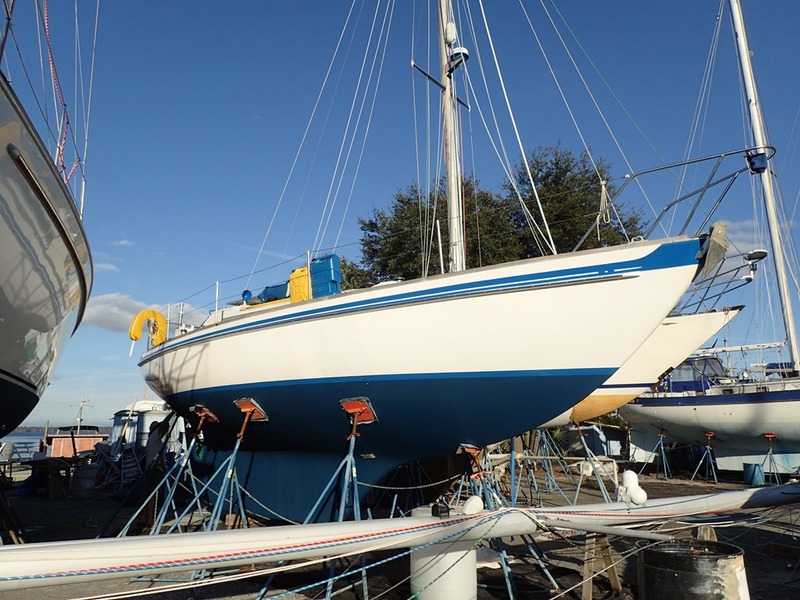 You can see the mast along the front of the boat – Goldwin spent a whole day cleaning it and getting it ready for our launch. 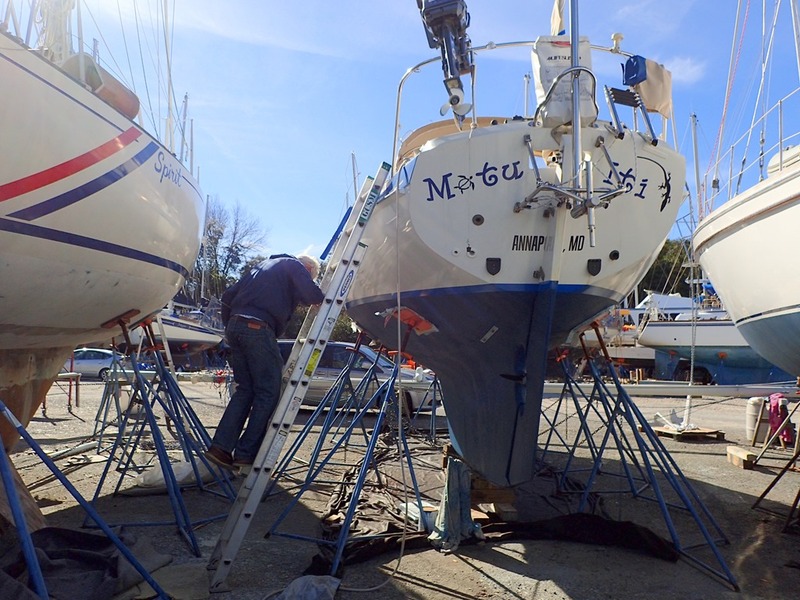 But we were delayed – we couldn’t launch in early January because the marina didn’t want to step the mast with the high winds we were having – too tricky and dangerous. And then Nancy flew to Monterey, CA, to spend some time with our daughter, son-in-law and granddog. 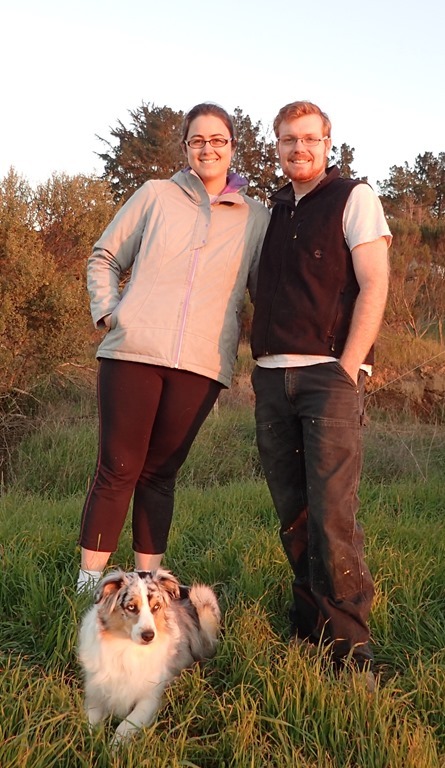 I got to visit their beautiful property up the hill from Moss Landing. 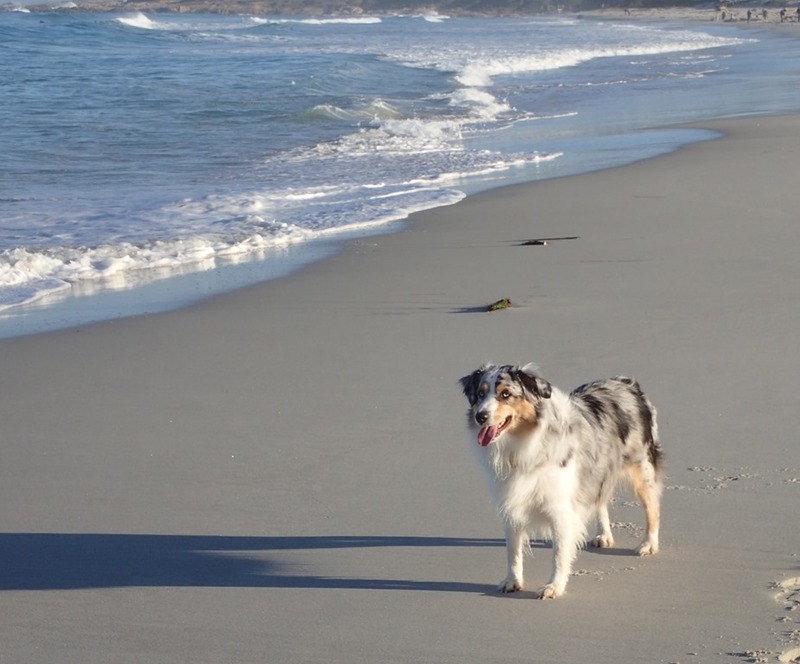 And play on the beach with our adorable granddog. 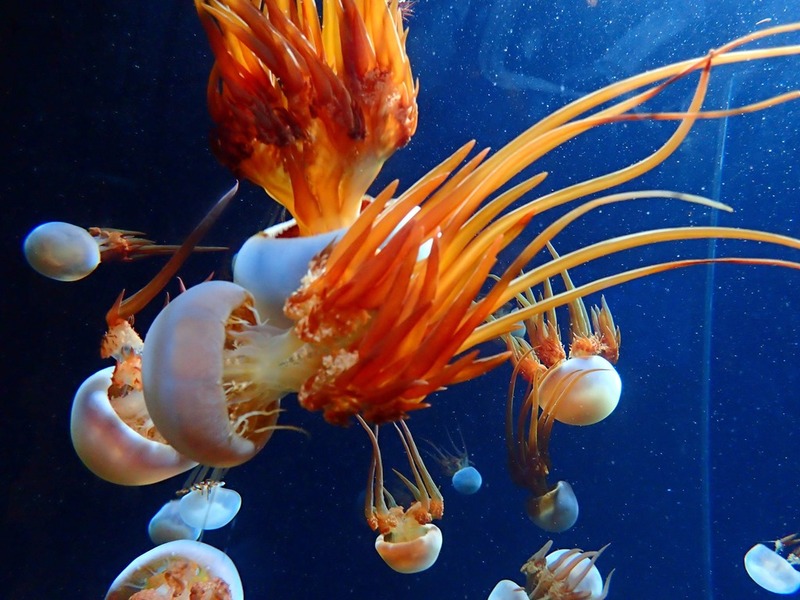 Of course, I had a brief visit to the Monterey Aquarium to see the octopus and jelly exhibits – my favorites. So now we are sitting through another blow, accompanied by freezing temps at night. This will soon pass and we are re-scheduled to launch on Friday. Fingers crossed. I think we are finally ready to go. Bon voyage, I look forward to your posts. Safe travels!